This recipe is for a quart-sized mason jar because they are easily accessible. If desired, feel free to brew a larger batch in a larger glass container to grow your SCOBY (up to a gallon sized jar. Jars with wider surface areas are ideal). If you are brewing a larger batch, just keep the recipe ingredients proportional. In addition, leave about 1.5 inches of air space at the top to allow the new kombucha culture room to grow. Breathable cloth that allows airflow, to cover the surface of the container (if using cheesecloth, layer it multiple times so fruit flies cannot get in! Coffee filters and paper towels also work well). Because kombucha is made with a SCOBY (symbiotic culture of bacteria and yeasts), clean the materials to be used for kombucha with boiled/filtered water and distilled white vinegar (some soaps contain antibacterial agents, and you do not want to kill the cultures). Boil the water in the pot. When the water comes to a boil, take it off the heat. Add the tea in, and let it steep for 15 min. After 15 min., remove the tea bag(s) or strain out the tea leaves. Add the sugar to the tea and mix until it dissolves. Pour the sweet tea into the quart jar. Cover the jar with the breathable cloth and secure it well, so that fruit flies won't get in. Let the tea cool down for 24 hours, to allow it to get to room temperature, and to give it enough time for the chlorine to evaporate off. (Chlorinated water is not good for ferments, and hot temperatures kill the kombucha cultures). Cover the container with the cloth and secure it well, again to prevent unwanted organisms from getting inside the container. Leave the brewing container in a warm, undisturbed spot- around 75-85 F is ideal. For example, a cupboard. Avoid putting the container in an area where there is smoke (such as kitchen smoke), and avoid windowsills and direct sunlight. Do not move the container around as it ferments, because this disturbs the growth of the new kombucha mushroom. After a week or several weeks, a new baby SCOBY should form! The tea can be used as starter tea, drunk if it is not too acidic, used similar to apple cider vinegar if it is too sour, and more. For more information and photos on SCOBY development from the first time I grew a kombucha culture, check out these blog posts (to see the final results, click on "Newer Posts" at the bottom. Blog posts are in reverse chronological order). -Alex Kombucha kindly reminded me that the kombucha reformulations will negatively affect growing a SCOBY made with reformulated kombucha: kombucha that is sold in stores is now typically under 0.5% alcohol. If you are able to grow a kombucha mushroom with kombucha that is >.5% alcohol, that is recommended (mostly likely you will not be able to find this in stores). 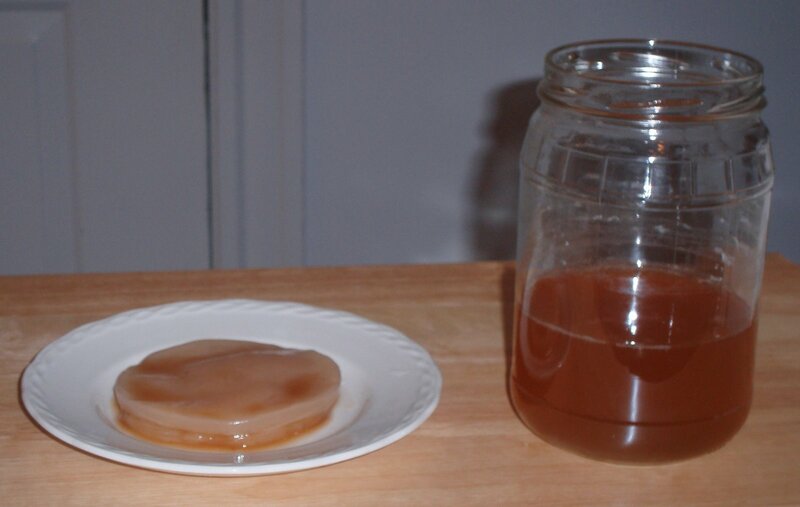 Growing a SCOBY with reformulated kombucha may potentially produce a weaker SCOBY and weaker kombucha, which may not be good for long-term brewing. If you are serious about brewing kombucha, you may want to consider these other methods of acquiring a SCOBY. I first began brewing kombucha with a SCOBY from Happy Herbalist. 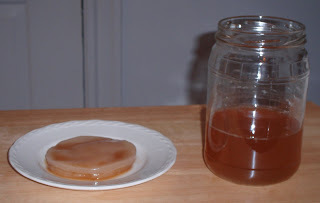 Back then, I had not even heard of growing a kombucha SCOBY! -Is all hope lost if you cannot acquire a SCOBY, or kombucha that is >.5% alcohol? Not necessarily. The reformulated kombucha in stores still have the benefits of live cultures. Even with a decreased chance of success of growing a SCOBY and brewing with reformulated kombucha, I think that it is still worth trying, even if it's just for the fun of it! Over the next few months I will attempt to grow a SCOBY and brew kombucha, starting with store-bought, reformulated kombucha, and I will report back on my findings. Read another blogger's experiences here. -Another method that you may want to consider, is that I do know some individuals who, instead of continuously brewing kombucha, purchase a bottle of kombucha every now and then, and pour it into a glass gallon jar that has sweet tea or even juice (leaving at least 1.5 inches of headspace at the top, and covering it appropriately to allow airflow but to prevent outside organisms from coming in). After a week or more of allowing the beverage to ferment in a warm and undisturbed spot, the beverage becomes fermented with the kombucha cultures. The SCOBY that forms may not be useful for the long-term if it is made with reformulated kombucha (if one gets produced at all). However, this way, you get a gallons worth of kombucha or fermented juice, started from just one 16 oz kombucha bottle. 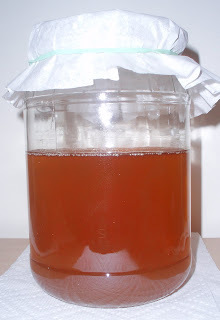 Here, the aim is to produce kombucha/a fermented beverage to drink, rather than focusing on producing a SCOBY. 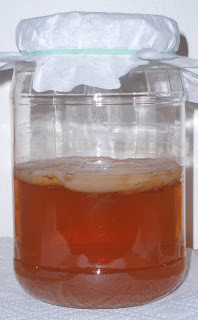 If a SCOBY forms, even if it does not last in the long-term, it may be useful for several batches. Thus, you are still getting more bang for your buck. This method may be useful if you have a busy schedule, if you do not want to worry about long-term SCOBY maintenance, and if you are thinking about brewing kombucha, but are not sure if you want a long-term commitment yet. You will find different recipes for growing a kombucha SCOBY and brewing kombucha online. One recipe I found for growing a kombucha culture included pouring a jar of raw, unflavored kombucha in a glass jar (leaving some airspace at the top), covering it with a breathable cloth, and letting it sit in a quiet, undisturbed spot for a few weeks. Very simple! However, I think that adding some sweet tea to the mix, as in this recipe, is helpful for the cultures and helps them to be more active, as the the sugars provide food for the yeasts. Of course, things have gotten more complicated since the reformulation. Good luck, and happy growing and brewing! The 3rd Annual Boston Local Food Festival is coming up on Sunday, October 7, and I am looking forward to participating! The Boston Local Food Festival is a "free admission and zero waste festival where you will find farmers, fisherfolk, producers and chefs selling and showcasing local food. Spectators of all backgrounds learn about the benefits of sustainably produced food, purchase delicious local food for $5 per serving, participate in educational activities, engage with top local chefs, enjoy local music and art, and taste local craft beer and mead. Themed 'Healthy Food for All,' the festival connects New England eaters with the abundance of fresh, nutritious local foods available in Massachusetts and stretching out into New England." 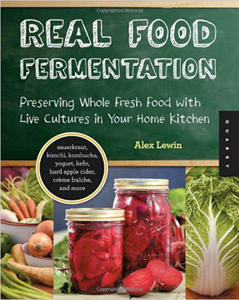 I will be teaching a "Home-Brewing Kombucha" Demo from 3:30 - 4 pm, and the demonstration will cover the basics of brewing and bottling kombucha, so that people know how to prepare it at home. Read more details about the demo and the other DIY Demos at the festival here. The festival will be held at the Wharf District and American Heritage parks on the Rose Kennedy Greenway, which is located near South Station, Faneuil Hall, and the Aquarium. Instead of driving, taking alternative methods of transportation is strongly advised, such as public transportation, walking, and biking. Here is a map of the Rose Kennedy Greenway, and for more details about getting there, visit the website for the Boston Local Food Festival. My next kombucha demo will be at the Allston DIY Fest at Ringer Park in Allston, MA on Saturday, July 21 from 1:15 - 2 pm! It is "a free day of music, art, skill-sharing, DIY culture and friends!" Find out more about the festival here, and check out the tentative schedule of skillshares and music here. The kombucha demo will cover the basics of brewing and bottling kombucha. Topics to be covered include required materials, the traditional and continuous brewing methods, how to grow your own kombucha culture, and more. Have questions about the event? E-mail Annabelle at kombuchafuel[at]gmail.com. It all depends on your body. Kombucha is an acidic drink. While all of the beneficial acids may not be developed in an under-fermented brew, an over-fermented brew may be too acidic and create stress for the digestive system. (However, kombucha that has been brewed/fermented longer will also have less sugar). It's usually suggested to drink kombucha in the morning on an empty stomach. Some also say to drink kombucha before meals to lose weight and after meals to gain weight. If you are new to kombucha, you may want to start by drinking 1-2 or 4 fluid oz daily/at a time to let your body adjust to it. You may work your way up to 4 or 8 oz a day, but it's been recommended that you stop at the abosolute max of 32 oz./day!- there is such a thing as too much kombucha! For me, 4 oz. a day (such as 2 oz. in the morning and 2 oz. at night) is plenty. Happy Herbalist does not recommended kombucha for pregnant or nursing women, or children under the age of 4. Meanwhile, others suggest that kombucha is ok for pregnant women, and that kombucha can be safe for young children. One particular concern is kombucha fermented with honey, especially raw honey, which may contain spores of Clostridium botulinum. Adults can usually tolerate the spores, but because of the possibility of infant botulism, it is not advised to give honey or kombucha fermented with honey to children under the age of 1. In addition, kombucha may interfere with certain medications. In conclusion, people have different opinions on how much kombucha one should drink and on whether or not kombucha is appropriate for certain groups. What works for one person also may not work for another person. If you are unsure of whether you should be drinking kombucha or not, you may want to consult your doctor or a health care professional. Finally, remember that how much kombucha to drink depends on you. I hope you all are enjoying the New Years, with plenty of kombucha! I'm looking forward to another kombucha demo on Sunday, January 22, in conjunction with a mead homebrewing demo as well! The details are below, and I hope to see you there! This is a two part demo. First kombucha, then mead. Kombucha is a fermented tea traced back to Chinese origins to around 220 B.C. Numerous health benefits have been attributed to kombucha, including curing cancer, reducing blood pressure, boosting the immune system, and aiding digestion. Kombucha is also said to have probiotics and detoxifying effects. Brewing kombucha is quite easy to do at home, and it's fun! Annabelle Ho, author of the blog Kombucha Fuel, will demonstrate and explain the basics of brewing and bottling kombucha. Topics to be covered include required materials, the traditional and continuous brewing methods, how to grow your own kombucha mushroom, and more. Samples of home-brewed kombucha tea will be available to taste. SCOBYs will also be available for individuals to take home. For those interested in adopting a kombucha mushroom, bringing a clean, glass pint jar would help to facilitate distribution. For more information on kombucha and how to brew it, visit http://www.kombuchafuel.com. Have questions about this event? E-mail Annabelle at kombuchafuel[at]gmail.com. Annabelle Ho is the author of Kombucha Fuel and has been brewing kombucha for the past three years. She is a recent graduate from Boston University with a degree in nutrition, and she is currently training to be a holistic health coach at the Institute for Integrative Nutrition. Annabelle’s interests include herbalism, gardening, agriculture, food, sustainability, and playing the cello. Description: Mead is an alcoholic beverage similar to wine in it's alcoholic content. It is made from honey, water, and yeasties. I heard about how to make and watched some you tube videos about it so obvi I'm an expert now (not quite) but I've done a batch once already and can explain how it was done. It's pretty easy. This event is co-sponsored by the Urban Homesteaders' League (http://www.meetup.com/Urban-Homesteaders-League), Boston Collective House Assembly (assembly.bostoncoops.org, http://meetup.bostoncoops.org/) and Branches (branches.bostoncoops.org).